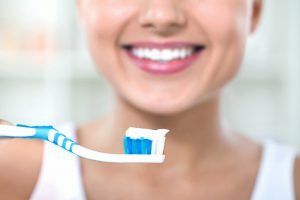 Our body is comprised of a complex system, which is interconnected with other parts, which means having poor oral hygiene can greatly affect our overall health. It can lead to serious health problems; that’s why brushing our teeth is important. This makes choosing the right toothbrush even more important. There are lots of different types and styles, others even come with extra features. In this article, we’re going to discuss what you need to know in order to choose the best one. Oral hygiene is not only dependent on how diligent we are in cleaning our teeth but also on choosing the right tools. Let’s take a look at what determines a good toothbrush. The bristles of toothbrushes are available in different hardnesses: extra soft, soft, medium, and hard. It’s important to choose according to the condition of your gums. As a general rule, dentists recommend choosing a toothbrush with soft to medium bristles. 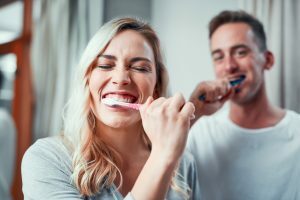 Hard bristles do not necessarily do better at cleaning your teeth, in fact, they can do more harm by eroding dental enamel and irritating your gums. 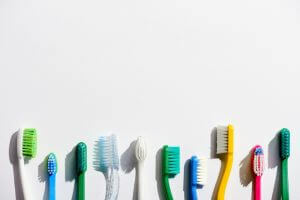 Also, if you have sensitive teeth and gums or gingivitis, it’s better to choose a toothbrush with extra-soft bristles. Several case studies have shown that toothbrushes have performed effectively regardless of their bristle design. 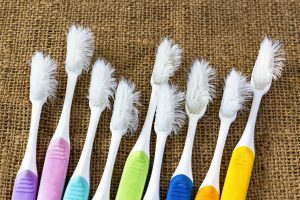 Although it might seem that zig-zag and criss-cross bristles would perform better, it all comes down to how well you brush your teeth. 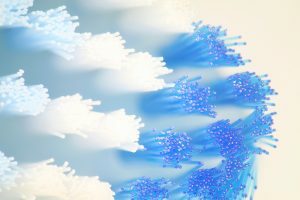 Generally, bristle hairs are around 0.2mm, but there are thinner bristles that can fit into the tight spaces in between your teeth and gum pockets. So if you find that your normal toothbrush isn’t cleaning your teeth well, opt for ultra-thin bristles. These ultra-thin bristles also tend to be soft or extra-soft making them a good choice for people with gum diseases, such as periodontitis or gingivitis. These as less likely to damage your gums, and they’re thin enough to fit into your gum pockets. It’s important to clean these gum pockets as bacteria can build up if not cleaned properly. Lastly, it’s important to choose the size of the toothbrush according to the size of your mouth. The toothbrush needs to be able to reach your back molars and still have enough space to move around. People who have smaller mouths, especially children, are recommended to choose smaller size heads to effectively clean their teeth. Who knew toothbrushes were this complicated? With so many varieties available in the market, we’ve narrowed down to the 10 best toothbrushes you can buy online. 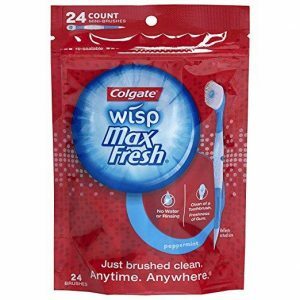 This pack has 24 single-use mini toothbrushes that are perfect to keep in your bag, car, or office. You can now brush your teeth on-the-go, anywhere, and anytime, as this toothbrush requires no water or rinsing. There are sugar-free peppermint beads built-into the bristles, so it delivers the freshness of gum while removing food or other particles. The bottom end of the handle serves as a toothpick that can help you remove particles from hard-to-reach areas. 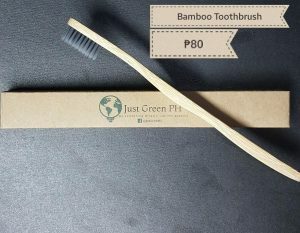 Save the environment by using this bamboo toothbrush, instead of the regular plastic ones. The handle is made of polished bamboo, while the bristles are made of bamboo charcoal. Bamboo is a natural antibacterial so it will keep your teeth safe from bacteria. The charcoal infused bristles also safely and naturally kill odor-causing bacteria. You also get different options when you purchase. For ₱130 you can purchase it with a pouch, making it handy for out-of-town trips. The bristles of this toothbrush are infused with green tea, which provides a soothing, gentle, and deep clean that helps improve your gum health. Also, the .25mm brush head is just the right size for you to effectively clean the molar area. The bristles themselves are ultra-thin, but if you look closely, its tips are also tapered, meaning they’re thinner at the tip of the bristles, allowing you to gently clean between teeth and just below the gum line. 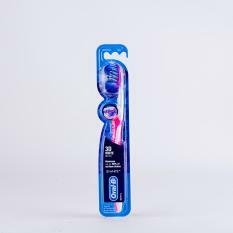 This toothbrush has silky-soft bristles specially designed to gently clean sensitive teeth and gums. The small head also allows you to effectively clean hard to reach areas. The round tip bristles are gentle and will splay very little. The brush head is curved so that it naturally wraps around two to three teeth at a time. 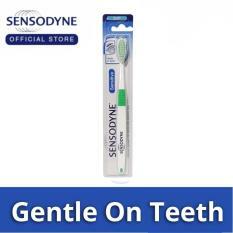 Aside from people with sensitive teeth, people wearing braces can also use this toothbrush, as it can clean the gum line, bracket, and the rest of the teeth. This toothbrush is perfect to safely brush a child’s teeth. Its bristles are made of very soft, flexible, and durable silicone. 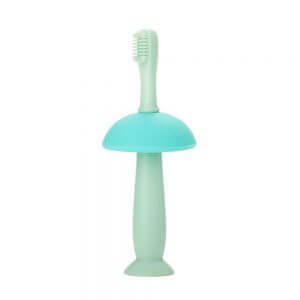 This allows you to gently clean your baby’s teeth and massage their gums. Just make sure you clean the bristles well, and periodically sterilize it in boiling water. It comes with a built-in safety shield that makes sure you don’t accidentally insert the toothbrush too deep. 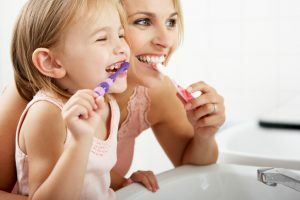 It can also be used as a training toothbrush, as it will prevent the child from doing the same. It comes in three colors: green, pink, and hot pink. This toothbrush helps you polish away stains to help bring out those pearly whites. It uses a unique stain eraser brush head which can remove up to 90% of stains on your teeth. The stain eraser is made of rubber, which some people may be averse to. Although it removes stains, it’s still gentle enough for everyday use as it won’t stip your teeth of its natural enamel. Its flexing sides individually adjust to the curves and contours of your teeth for a thorough clean. This toothbrush is designed with ultra-soft bristles that are infused with charcoal, hence the black color. The less than 0.01mm slim tip bristles effectively clean your teeth and gums of plaque and bacteria, even in hard-to-reach areas. 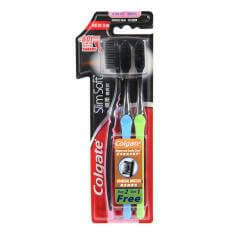 The bristles are infused with charcoal, which helps clean and detoxify your teeth. The brush head is also small enough to fit the molar area of the mouth. 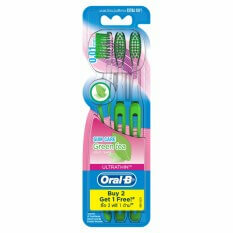 Although the bristles are ultra-thin, they’re quite durable and can last you a few months. Just choosing the right toothbrush will not ensure good dental health. You will also need to brush your teeth correctly while taking care of your toothbrush. It’s recommended to brush your teeth 2-3 times a day for at least two minutes per session. Also, take note that brushing more than this will wear down your dental enamel and injure your gums. Pay attention to the direction of your brushing. Wide, side-to-side strokes can damage the gum line along your teeth. Hold your brush at a 45-degree angle, and brush with short, up-and-down strokes. Make sure to cover all surfaces–front and back. Yes, it’s tempting to use the same brush to clean your tongue, which is the main source of bad breath if not cleaned, but do not use your same toothbrush to clean it. There are hard-to-remove bacteria and dirt that may transfer onto your teeth, which will can dental complications. It’s more sanitary to purchase a separate tongue cleaner or use a toothbrush with a tongue cleaner at the back of its head. Remember to rinse it well and store it upright after each use. If maintained well, your toothbrush should last around 3-4 months. Toothbrushes should always be rinsed with water after usage, and should never be stored in an airtight container, as bacteria will grow. Also, store them upright with the brush end on top. If you see the bristles starting to fray, then it’s time to throw it out. Frayed bristles cannot clean your teeth properly. We hope you’ve picked up a few things from this article, and also, have found a toothbrush for yourself. After all, having good oral hygiene is key to having great teeth.